I don’t wait for him to finish. I reach inside the basket, scoop a handful of salt, and hurl it at him. He shrieks, swings his hand towards me, but the entrapment chalk stops him. I reach for the salt again, toss another handful at him. His body drops to the ground. He curls ups, shivering and whining. Like a dog. I empty the remaining salt on him. He stiffens. Then, from his mouth, a cloud rises, forming a vague human form above the dead body. I take out the bowl of garlic, set it on the floor. I strike a match. Light the garlic. Then retreat backwards and stand beside Shola. She reaches for my hand, and together we watch the killer. He floats about in his true form, seeking for an exit. But soon the smoke from the garlic wears him down; he drops to the ground and begins to fade, until he is no more. Banished from Earth forever. Shola hugs me with a sigh, and I put my hand around her as she sobs against my back. Tears roll down my face, dropping to the sand. Finally, this torment is over. In silence, we hold hands and walk towards the village, alone in the dark night. The villagers would relax now. People would come to the beach on Sundays, without the fear of being killed. My bag is packed already. I know where to go next. Because he didn’t want me devastated, Uchenna lied to me about our parents—they had actually sustained some burns in the fire and were in the intensive care unit now. They need my comfort in this difficult time. And my healing hands, as well. Footnote: This is the final episode of The Beach Man, a 400-Word Blog Series. I hope you enjoyed it. For the first episode, click HERE. Thanks for reading! Thanks again to everyone who’s followed the series. Can I say another thanks? Well, thanks. Okay, a special post comes up next Monday. The End. Goodness. That was really good. I loved the whole series, Kaykay. I also thought the process of killing him was very creative. I like how she didn't let him throw the blame her way. I get tired of guilt-ridden protagonists. Maybe you'll combine your 400 word shorts into an ebook? I look forward to what you think of next. Have a great week, Kaykay! Thanks a lot, Robyn. I get tired of guilt-ridden protagonist also. I guess that's why I didn't enjoy Insurgent as much as I did Divergent. There was too much guilt in Tris. Yeah, I'll think of combining the stories into an ebook. Thanks for the idea. I'll let you know when I'm ready. An epic way to end what has been a grabbing, entertaining, and suspenseful story. Our killer depicted as the Beach Man is uncanny and dangerous. This brought the element of fear in the rest of the characters, including me as the reader. Do I like him? I LOVE him. He's my favorite, LOL. You did an excellent job telling most of the story from Ifeoma's pov. Her character is intelligent and even in the face of trouble, steeled herself for her adversary. That's a lesson learnt: to be courageous right to the very last moment. Again, another lesson: good must surely prevail over evil. I'm with Robyn on turning this story into an e-book. You've created a wonderful niche for yourself writing this story. I dearly look forward to this "special post" of yours next week Monday because am sure it's going to be a wonderful treat. Nwanne m, daalu. :) I'm glad you liked the story. The Killer, also, is my favorite character in this one. In fact, I'd wanted him to be the last man standing, but Ify said, "no" and she steeled herself for the worst. Well, it's a pity that the story ended but it was a good one. I liked the killing scene and the fact that he tried to blame her for his behaviour. Thanks for sharing this story, Kaykay. Good luck with your next project. 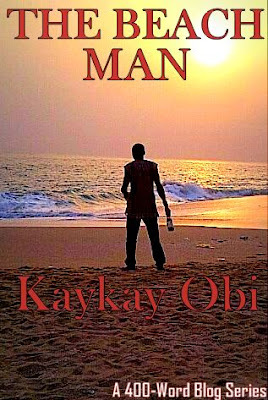 "I must admit that at the end it crossed my mind that he didn't die but the demon got inside Ifeoma's body. :)"
Hey man,so hm don die finally,u sure sey d demon no enta ifeoma or shola.or d parent wey she go c 4 hospital.wel I lyk d way d story ended,d@s very creative.u g@s put ds stuff for e-book.tel us more stories...E'FACE.